Fortunate lives... when we, the parents, make it through teenage years and discover the wonderful daughter in our midst. When I finished this piece, lightning struck because only 'til its completion did I realize my story … the need to hold back my words, the requirement to observe rather than react, the obstacles often in my way. I had a good belly laugh upon this discovery. "Conversation with Daughter" epitomizes what expressive art is all about and my need as an artist to not have a plan, rather to allow the evolution of creation take me on the necessary path. 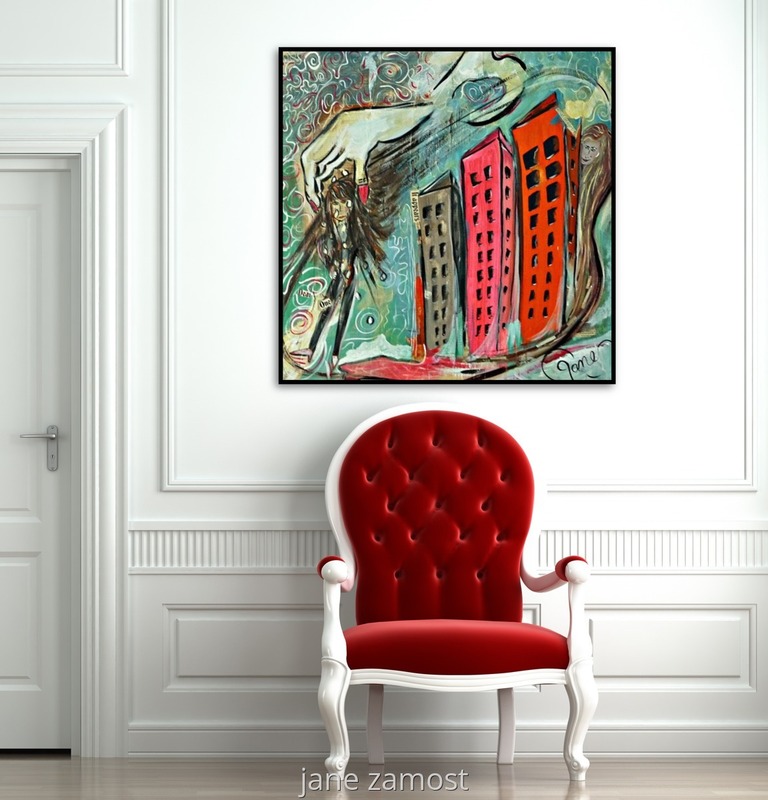 Giclee print in wooden frame measuring 29" x 29," $495.